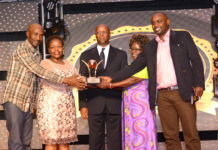 Oserian Development Company Limited, one of Kenya’s largest grower and exporter of cut flowers, has started the year on a high note by winning a coveted prize at this year’s International Grower of the Year awards. 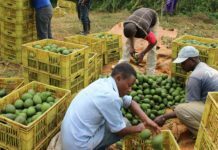 Of particular pride for Oserian is the fact that it was the only African grower nominated for recognition at this year’s Awards Ceremony. 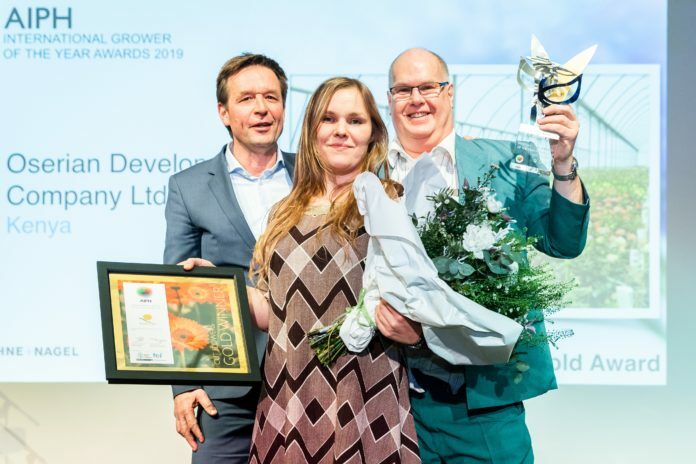 Dubbed the Oscars for plants, The International Grower of the Year Awards, an annual fete organized by the International Association of Horticultural Producers, and now in its tenth year, seeks to celebrate excellence and best practices in flower production. To meet this demand Oserian has developed a diverse portfolio across the 200 hectares it dedicates to cut flower production. With over 100 hectares, rose production is still dominant but the numerous supporting crops such as Statice, Spray Carnations, Gypsophila, Sunflowers, Eucalyptus, and a wide range of green fillers enable Oserian to create a vast assortment of bouquets. Key to their strategy is identifying roses that benefit from their vast 50 hectares of geothermally heated greenhouses. Inside these impressive structures is home to their various Collections – their wide range of Garden type roses, their Lady Collection, the Park Collection and one of type roses such as the striking Cappuccino. To maintain the highest standards in production, the Company has adopted a ‘champions by nature’ approach to flower growing. 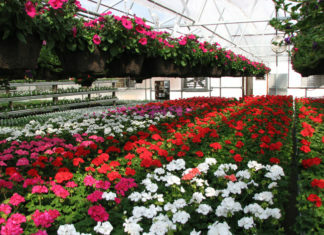 The Company utilizes the integrated pest management (IPM) system, hydroponics to reduce water and fertilizer consumption and has the world’s largest geothermal heating project for maintaining temperature in its greenhouses and for injecting vast amounts of carbon dioxide (CO2) needed to stimulate healthy, strong plant growth. This year’s competition which drew participants from across the world saw Oserian take pride of place alongside producers in other categoriess from China, Belgium and Poland. 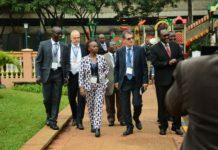 ‘We note that we did not lift the Award for Sustainability at this year’s AIPH Awards and we are really focused upon sustainable flower production, so we will be doubling our efforts this year as we aim to achieve Carbon neutrality and see if this gets us onto the podium at next year’s Awards’ explains Ms Kinyua.